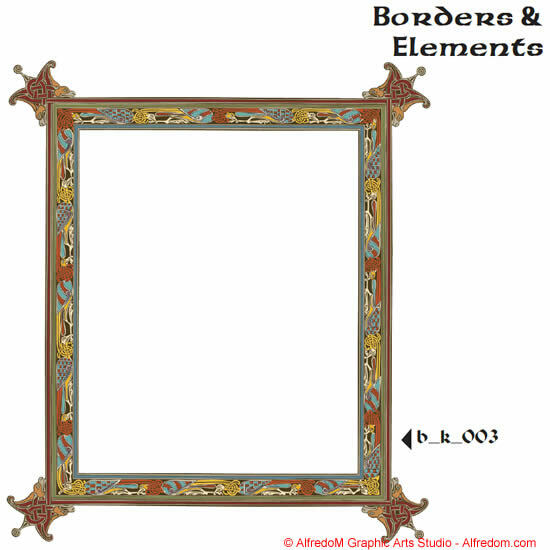 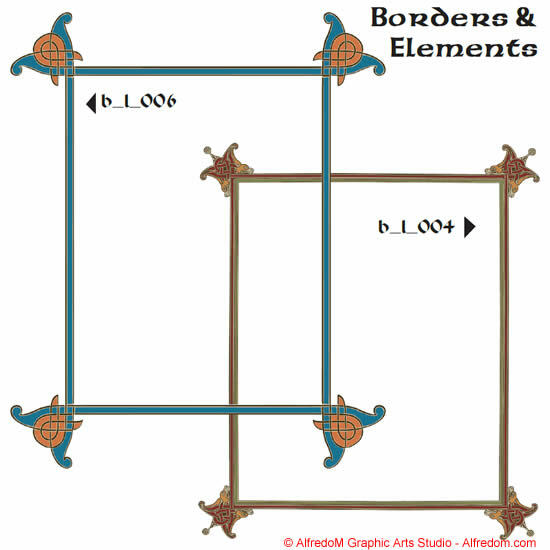 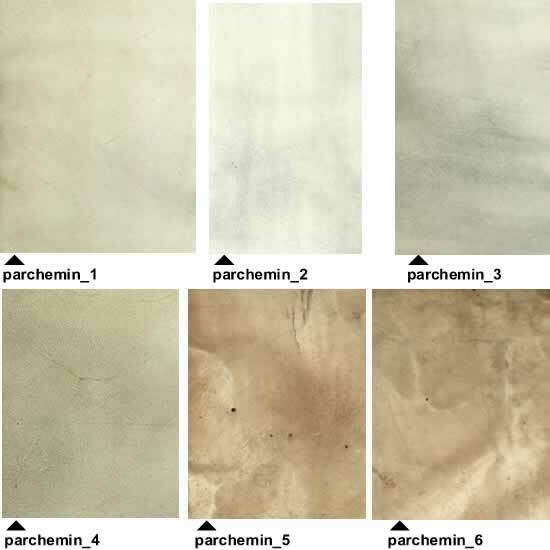 Borders, carpet pages, and more from the Book of Kells and the Lindisfarne Gospels. 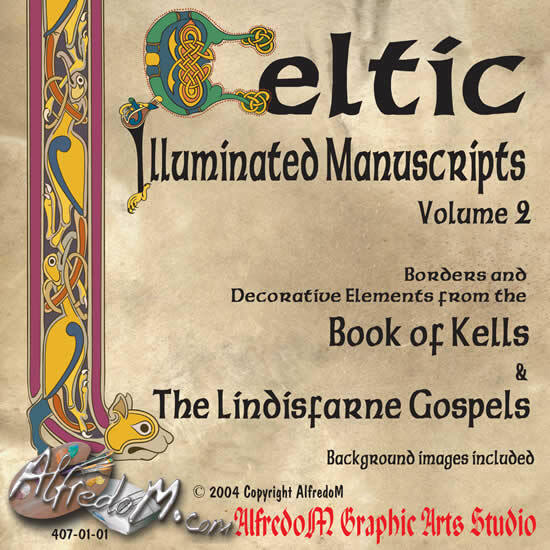 The volume is part of the Celtic Illuminated Manuscripts collection based on Book of Kells at the Trinity Library in the Trinity College in Dublin Ireland and on the Lindisfarne Gospels at the British Library in London England. 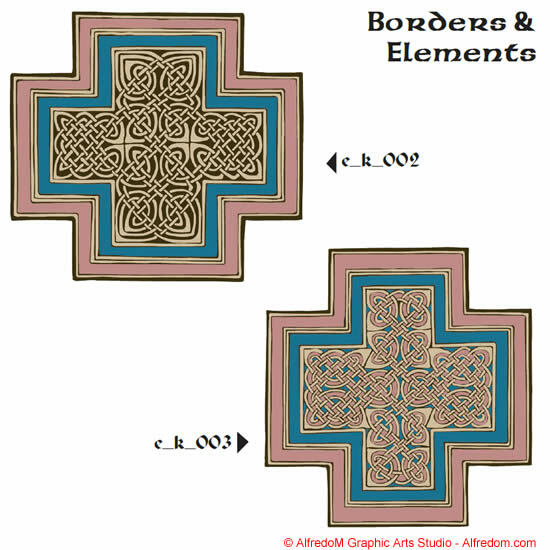 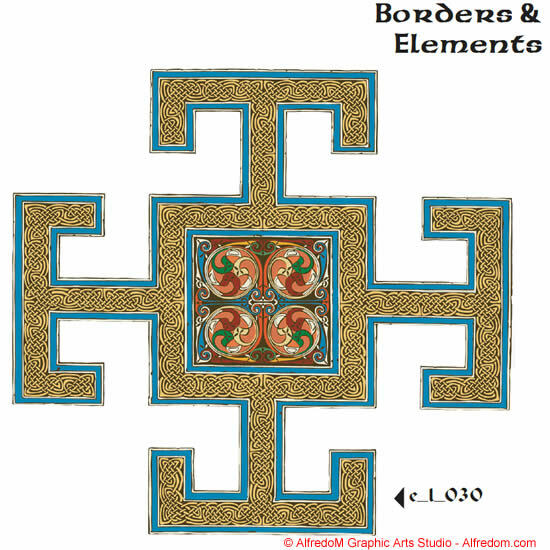 This second volume of Irish clip art includes many geometric interlace borders, animals interlace borders, carpet pages, page decorative elements and Celtic knot from the book of Kells and the Lindisfarne Gospels. 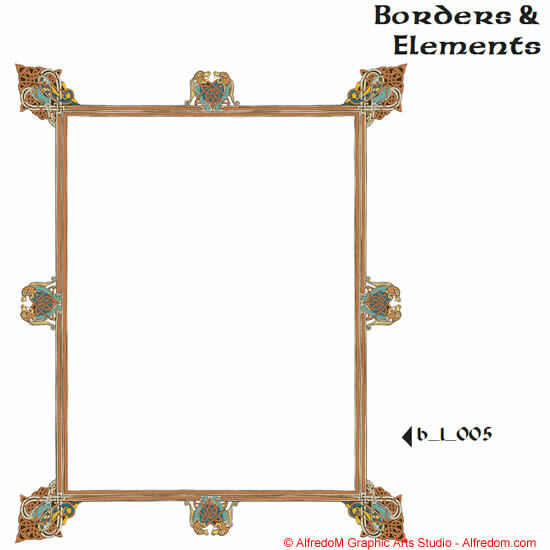 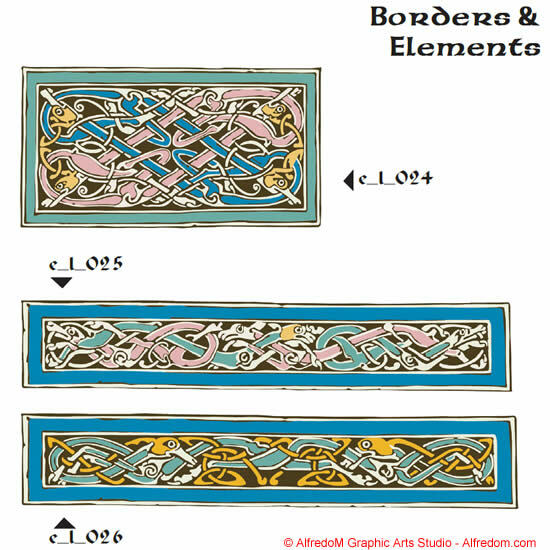 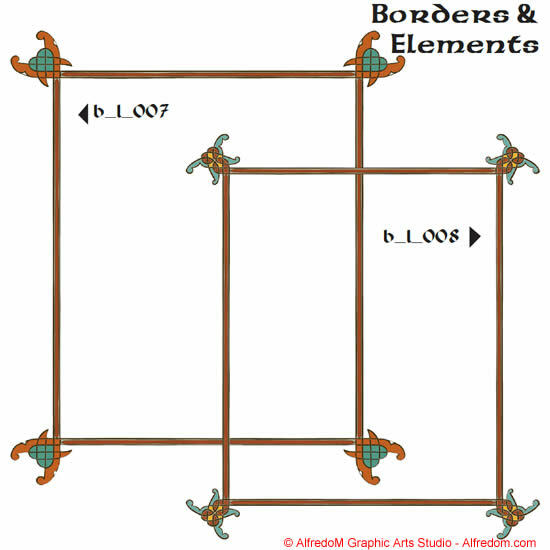 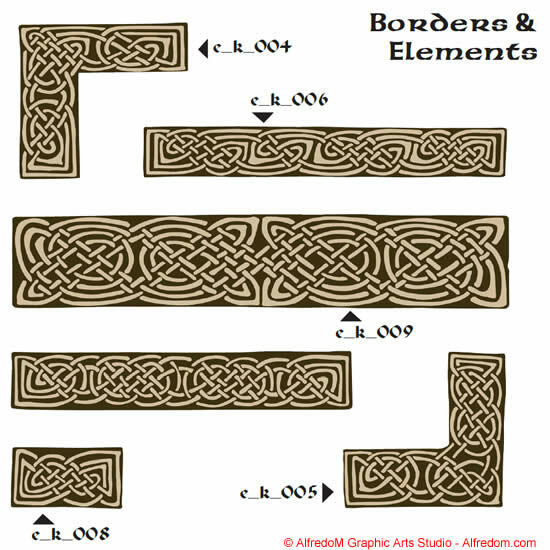 A unique collection of Irish clipart borders, Celtic animals knot work drawings and full page decoration. 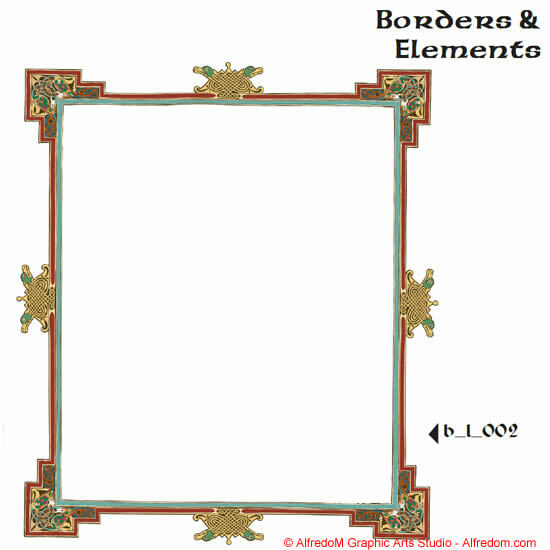 All the artwork has been hand drawn in vector eps format; the images are available as royalty free clip art for instant download. 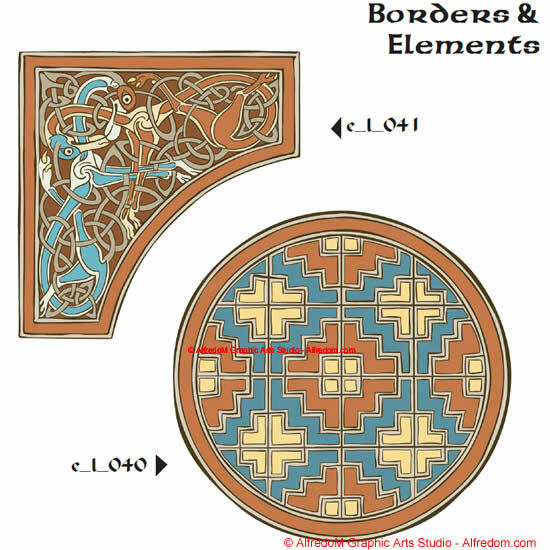 This set of hand drawn royalty free stock images from the Celtic Illuminated Manuscripts Collection are available as instant download in EPS and WMF formats. 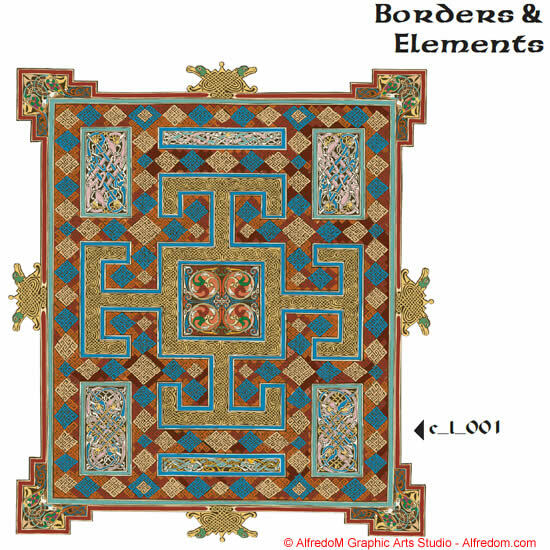 It was believed that only angels could have written the Book of Kells.The detail in this Irish illuminated manuscript is an amazing exemple of Irish Art, no one symbol, illuminated initial, celtic knot, interlace or page decoration element is duplicated elsewhere in the parchement. 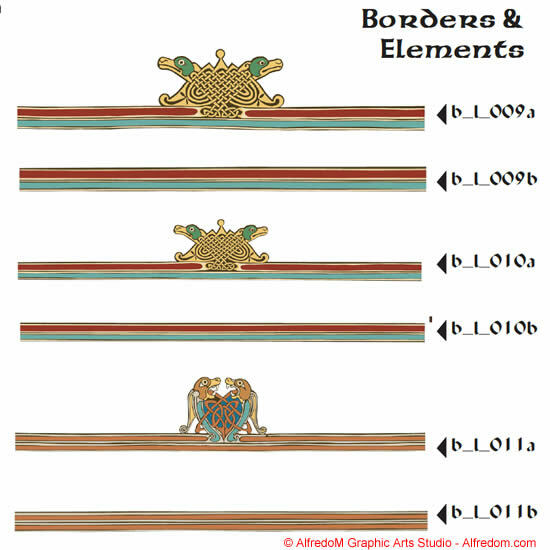 Some of the lacing is incredible, in one of the pages on a square of one inch there are over 180 interlacings. 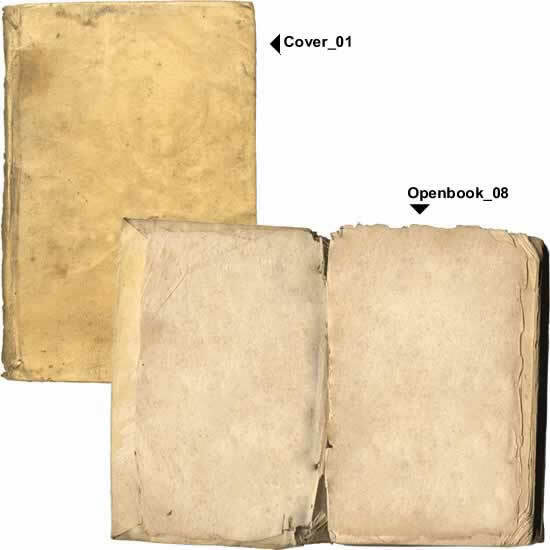 Approximately 30 leaves have been lost, the remaining 680 pages (340 folios) of the Book of Kells contains the four gospels in latin, a list of Hebrew names, and the Eusebian cannons. 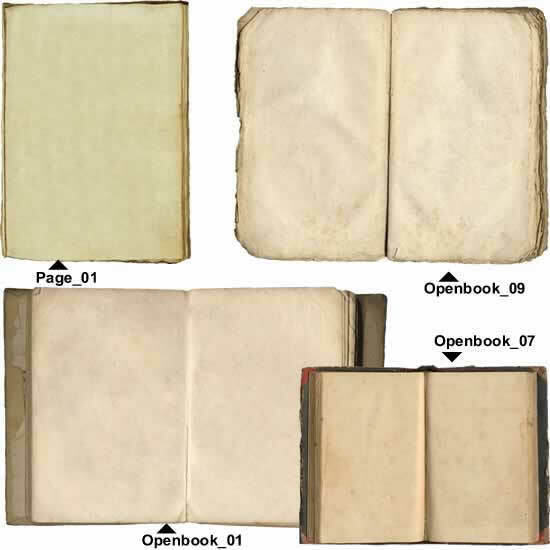 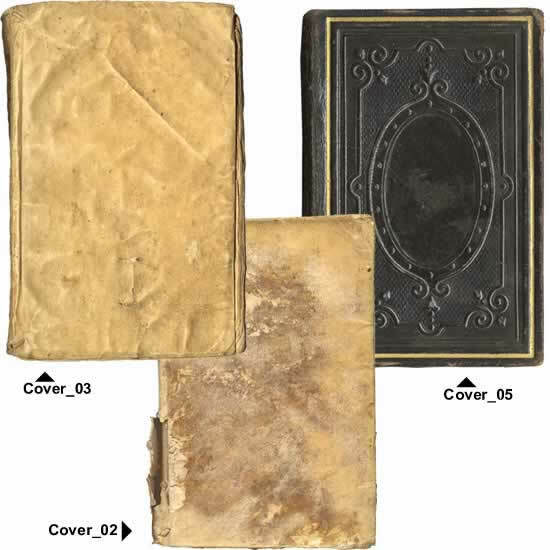 All the calfskin pages are illuminated. 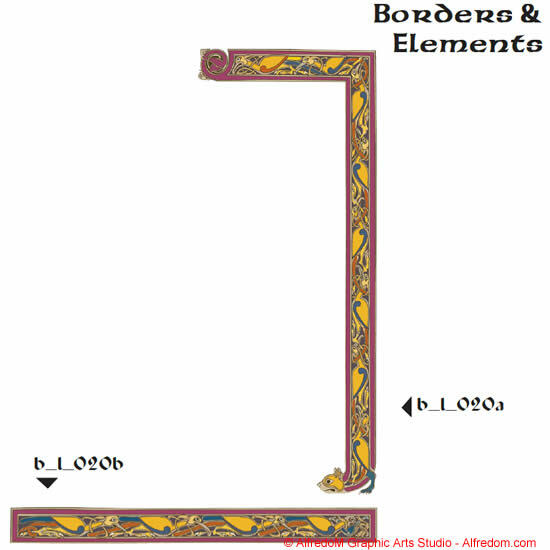 The hand of more than one scribe is recognized in the script, three of them being the most relevant. 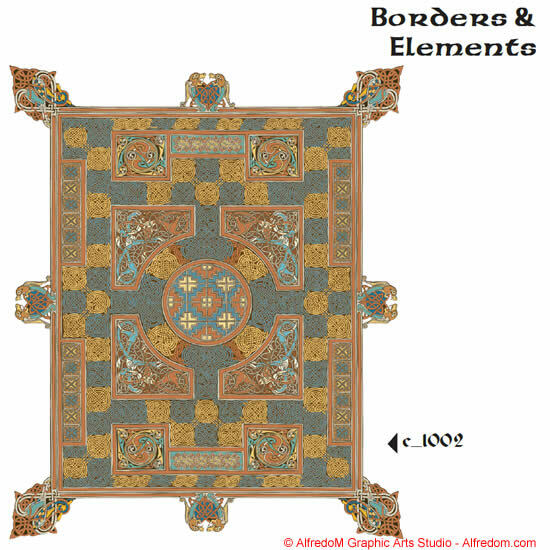 Borders, carpet pages, celtic knots borders and large decorative elements from the Book of Kells and the Lindisfarne gospels. 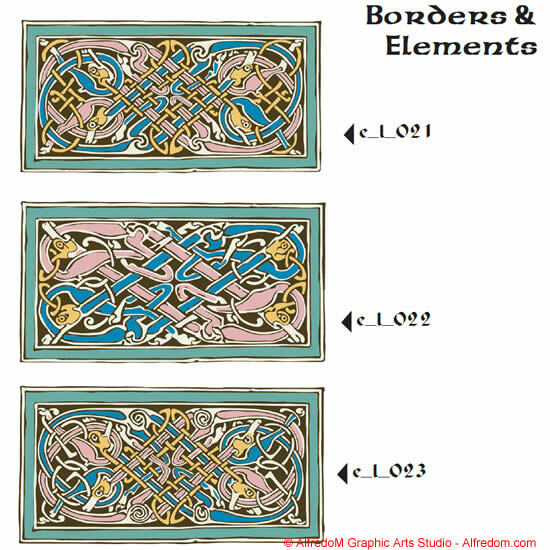 All our Celtic Art drawn with Adobe Illustrator. 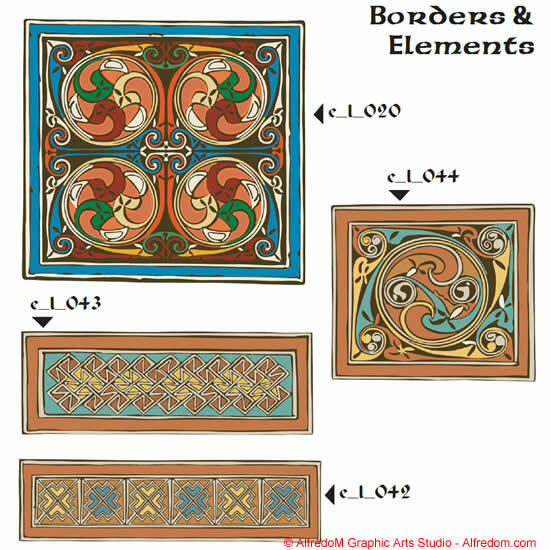 Each decorative image and element is meticulously hand-drawn in vector graphic format eps. 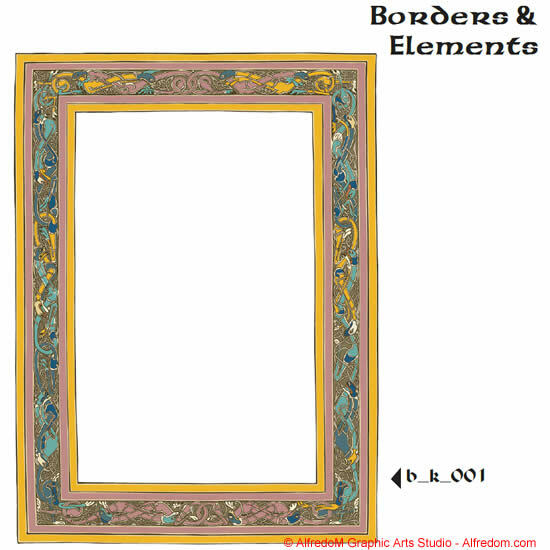 Many advanced designers will find our eps vector format royalty free stock images with the following desirable feature: preserved, original hierarchies and groupings, (as in the original Illustrator work file) to facilitate modifications and enable the extraction of unique graphic elements. 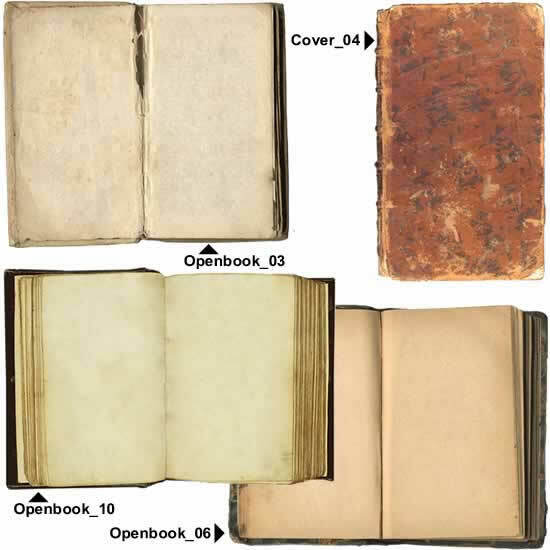 Though resolution-independent vector graphics formats insure high-quality reproduction at any size and allow complete latitude for pre-production modifications, our collections also include the WMF vector format supported by Office applications for desktop publication.